It’s official. The incumbent President David Granger has been endorsed by his party, the People’s National Congress Reform (PNCR) to run for a second term at the next General and Regional Elections, constitutionally due in March. 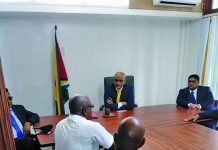 The PNCR is the larger partner in the A Partnership for National Unity/Alliance For Change (APNU/AFC) coalition and on Monday, it officially threw its support behind President Granger. This was communicated in a letter from PNCR General Secretary (GS) Amna Ally. 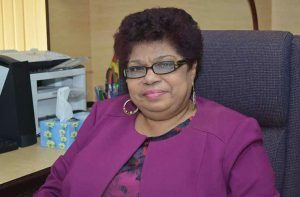 In the letter, she noted that Granger was elected unopposed at the last congress as the party’s leader. According to the GS, the President remains “capable, fit and proper” for a second term and on that basis, the party endorsed his candidature. 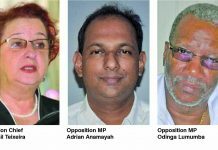 On Sunday, AFC Chairman Khemraj Ramjattan told Guyana Times that his party was “likely” to support Granger as the coalition’s presidential candidate. He had added, however, that the matter would be ventilated among the party at the upcoming National Executive Conference on January 26. “But, of course, I anticipate (there will be support for President Granger). I don’t think of anybody else with the quality of statesmanship as him,” the AFC Chairman, who is also the Public Security Minister, had asserted. 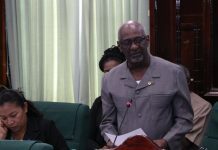 At the party’s first press conference for the year on Wednesday last, Vice Chair Cathy Hughes said it was too early for the party to say whether it would support a Granger presidential candidacy. While there had been no official public statement from the APNU camp until today, President Granger last year had indicated the possibility of him returning as presidential candidate for the coalition. “… I am a servant of my party; I’m a servant of the Partnership; I’m a servant of the coalition and my duty is to serve and I will not run away from service; that is as much as I can say… I have to bear in mind that my elevation to the presidency was as a result of popular support, it was a result of democratic processes and I will not abandon those processes …,” the Head of State told reporters at a press conference in August. Since then, however, President Granger was diagnosed in October with Non-Hodgkin Lymphoma and is being treated in Cuba, which requires him to travel back and forth between the two countries. 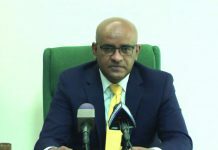 In fact, he returned to Guyana on Saturday evening after undergoing his fourth round of chemotherapy for Non-Hodgkin Lymphoma. Following the toppling of the Government after the no-confidence motion was passed on December 21, political parties have intensified preparations for elections. On Saturday, former Housing Minister Irfaan Ali was elected as the People’s Progressive Party/Civic (PPP/C) presidential candidate.